The Bashamichi Taproom opened for business in January 2011. 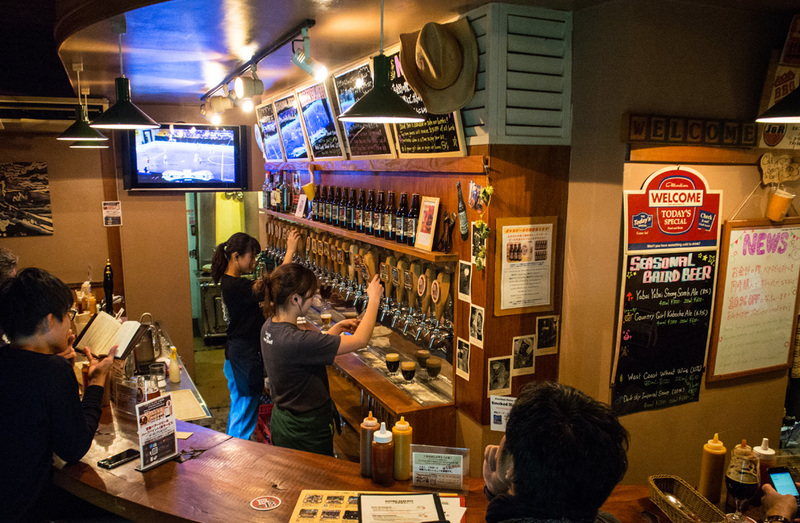 It’s Japan’s first authentic American-style smoked BBQ craft beer pub. Rough-hewn wood and faded brick lend a very sort of ‘Western’ or ‘Texas’ feel to the three-story Bashamichi Taproom. On the first floor is the kitchen and bar; main dining room seating is on the 2nd floor; and a roof-top beer deck and Japanese-style garden house make up the third floor. Low & Slow. Authentic American-style BBQ. This is the magical process of cooking and smoking meat (beef brisket, pork ribs, chicken) over a wood-fire at low temperature for several hours, rendering it juicy, tender and richly flavorful. The BBQ menu is complemented by traditional barbecue side dishes, fresh salads and home-made desserts. Taprooms are non-smoking establishments so that guests can enjoy the taste and aroma of the cuisine and beer.